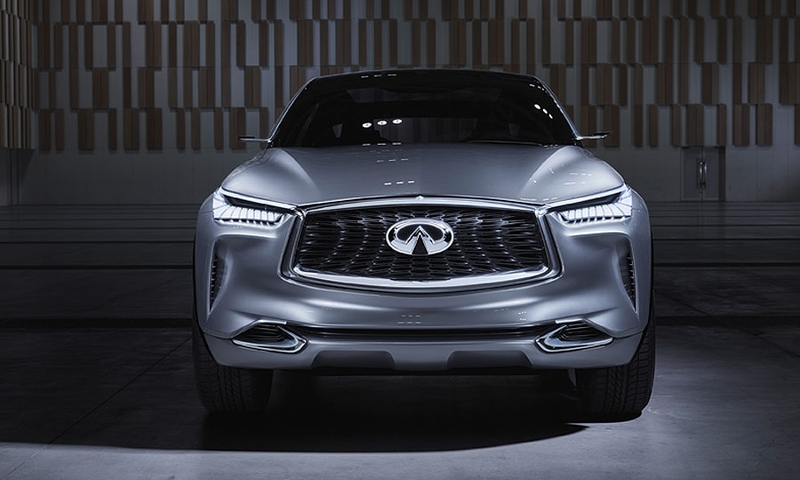 The QX concept has a double-arch grille and “human eye” headlamps with feathery jeweled lighting reminiscent of eyelashes. 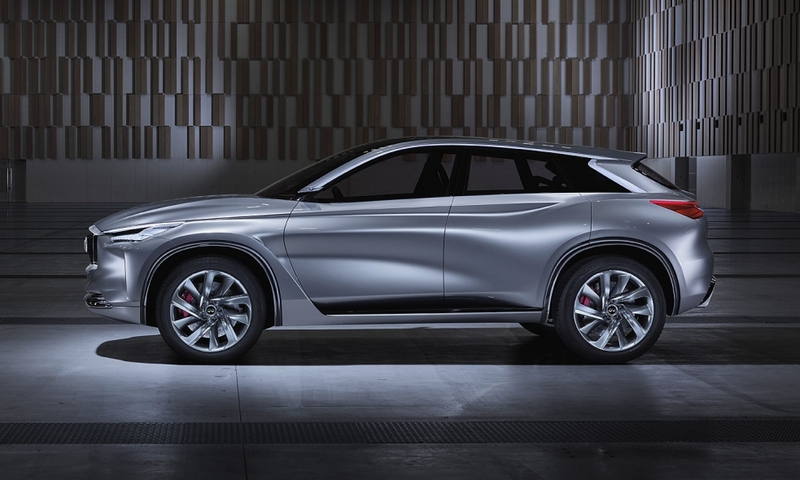 Infiniti is debuting the QX Inspiration Concept at the Beijing auto show as Nissan's luxury brand seeks to tap China's booming demand for SUV/crossovers. 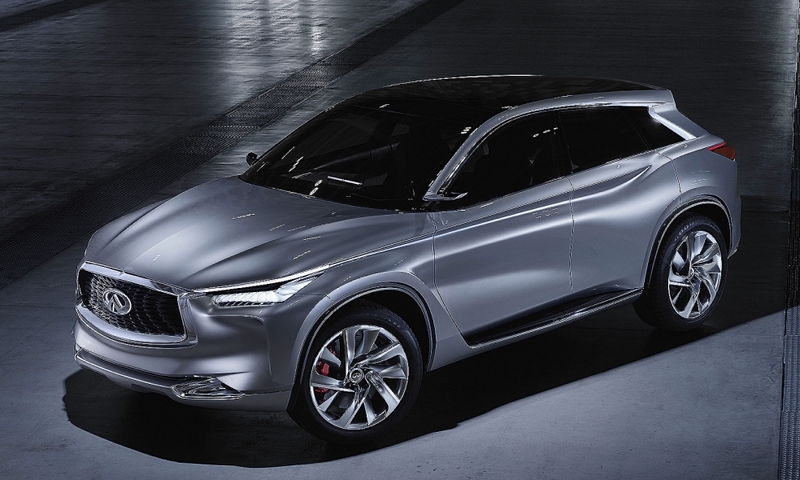 Infiniti says the concept points to the looks of a next-generation midsize SUV. 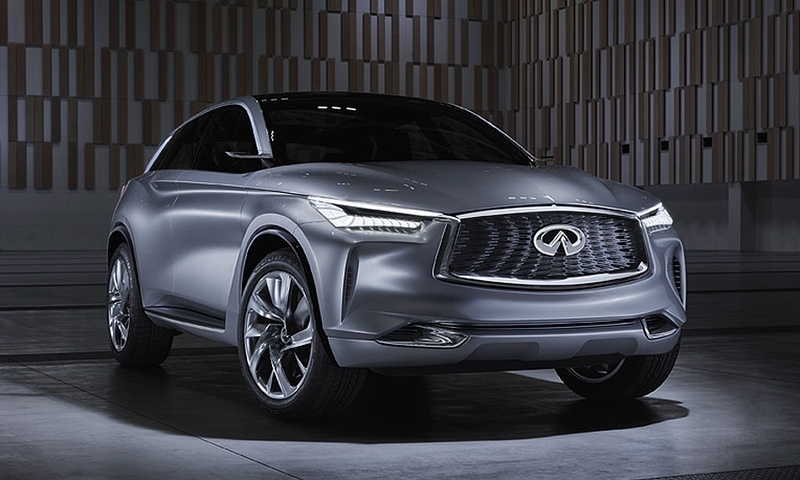 Elements could appear in the updated QX70, which is expected get a redesign around 2018, or the smaller QX50, which just had its chassis reengineered to lengthen the body but hasn’t had a redesign since 2007. Unveiled on Saturday ahead of the Beijing show's first day on Monday, the concept showcases the brand’s “Powerful Elegance” design language, which uses flowing sculptural lines and strong, muscular proportions. The QX Sport Inspiration assumes a more conventional crossover stance than the QX70 and QX50. It is squatter and wider, with what appears to be ride a bit higher. 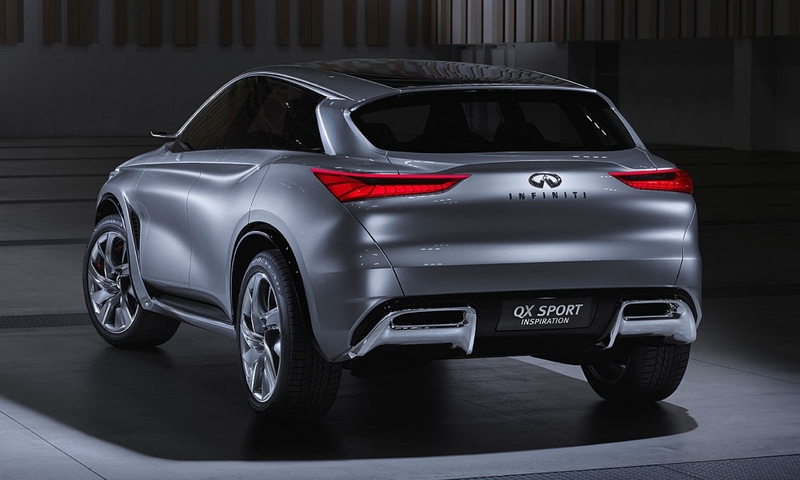 "The QX Sport Inspiration is a statement of intent from Infiniti, showcasing a daring design philosophy and a demonstration of our capabilities in the mid-size SUV segment," Infiniti President Roland Krueger said in a statement. The concept advances several Infiniti design traits. Up front, it gets the double-arch grille and “human eye” headlamps with a flourish of feathery jeweled lighting reminiscent of eyelashes. The side paneling gets undulating sheet metal and a strong character line and brake vents.The short front and rear overhangs emphasize its sporty cred. 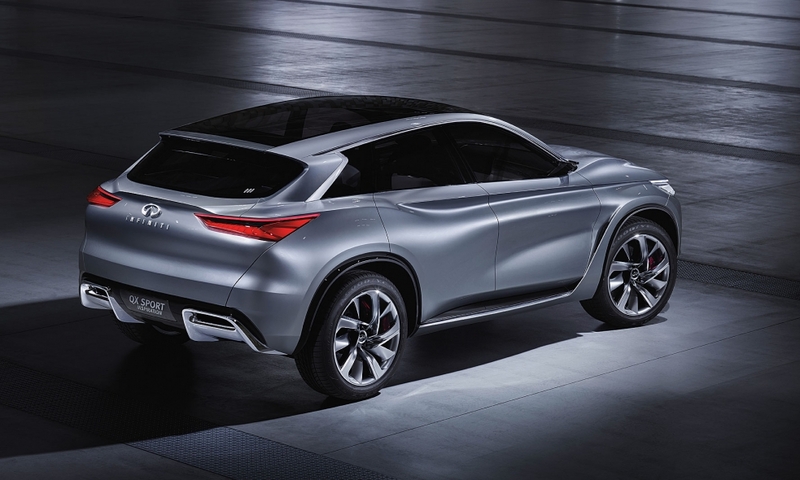 Toward the rear, Infiniti updates its crescent-cut pillar to give the leading edge of the crescent a raised look for a more angular and dynamic feel. Blade-shaped taillights and massive dual-exhaust ports round out the performance feel in back. Soaring sales of crossovers and SUVs in China powered a 6.8 percent increase in the country’s passenger vehicle sales in the January-March quarter, pushing volume to 5.67 million units. Sales of SUVs are forecast to increase 13 percent this year in China, outpacing overall market growth, according to IHS Automotive. Their local market share in China has climbed to around 30 percent today from just 10 percent in 2010, it said. Domestic Chinese brands, leveraging lower sticker prices, are increasingly grabbing a bigger slice of the country’s SUV market. But IHS Automotive expects international brands to remain the top players in the premium and luxury segments. The Americas are Infiniti’s biggest market. The brand’s sales there grew 14 percent to 147,609 vehicles in 2015. But China is a rapidly rising No. 2. Sales in China surged 34 percent to 40,188 last year. Globally, Infiniti posted a 16 percent increase in sales to 215,250 vehicles.